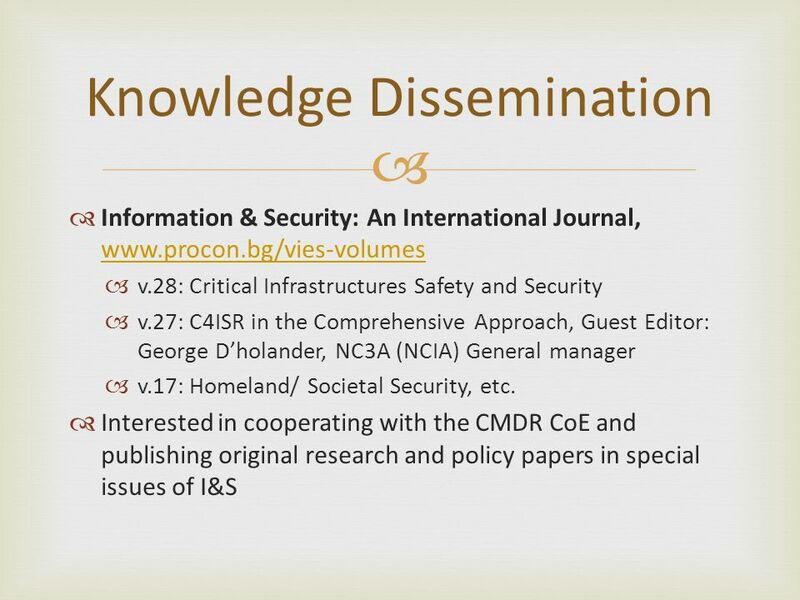 Crisis management related research at Information Technology for Security Department Crisis management related research at Information Technology for Security. 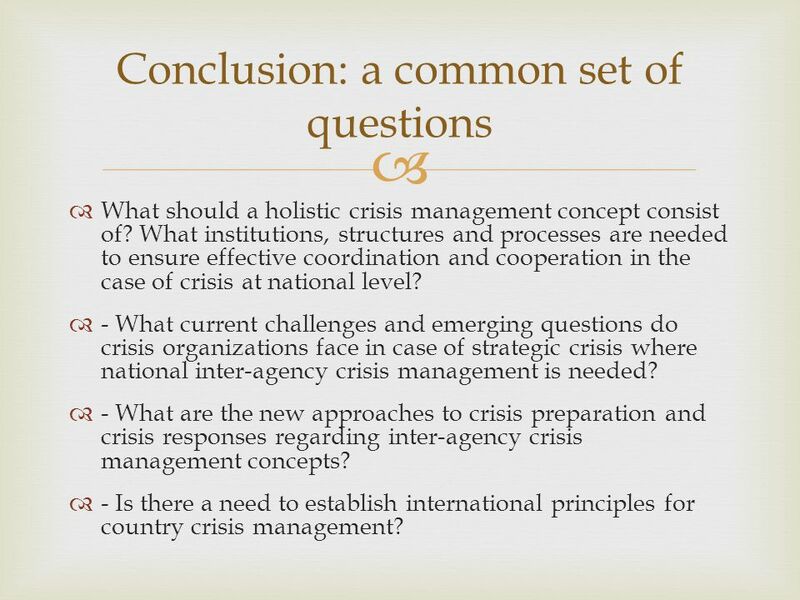 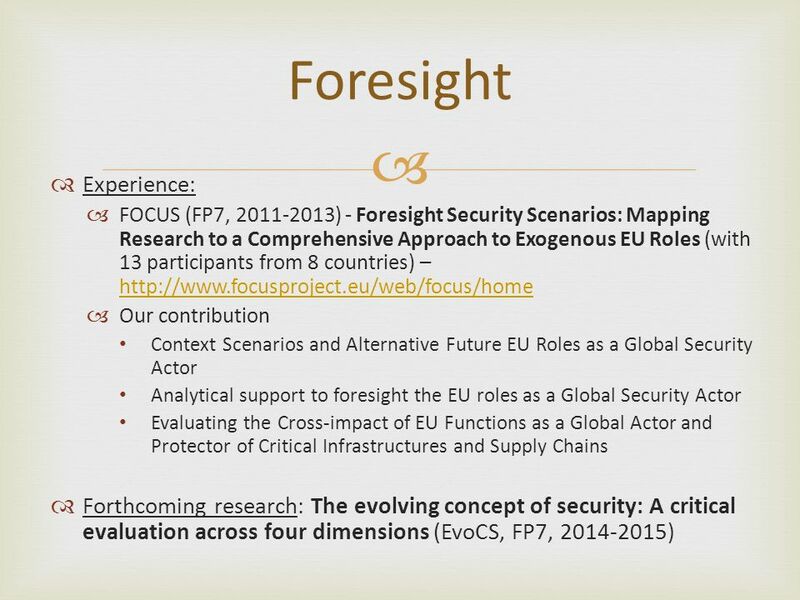 18  Conclusion: a common set of questions  What should a holistic crisis management concept consist of? 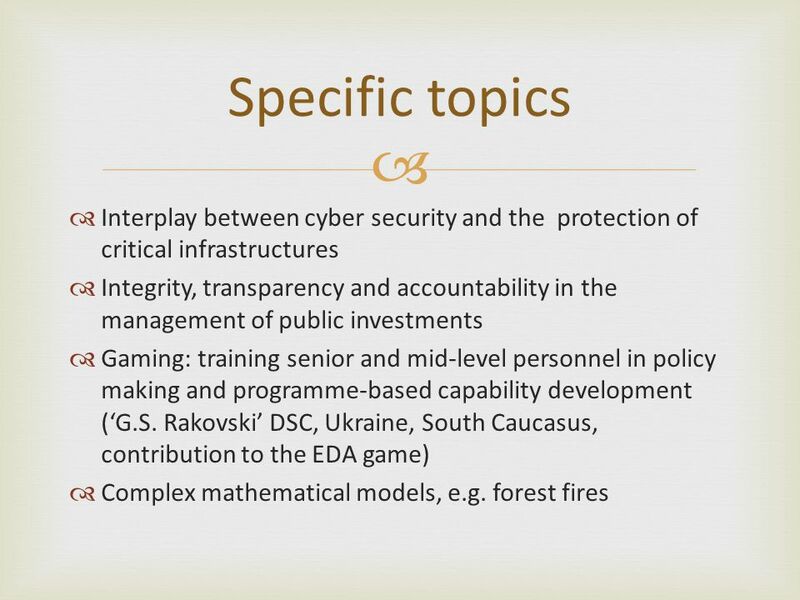 What institutions, structures and processes are needed to ensure effective coordination and cooperation in the case of crisis at national level? 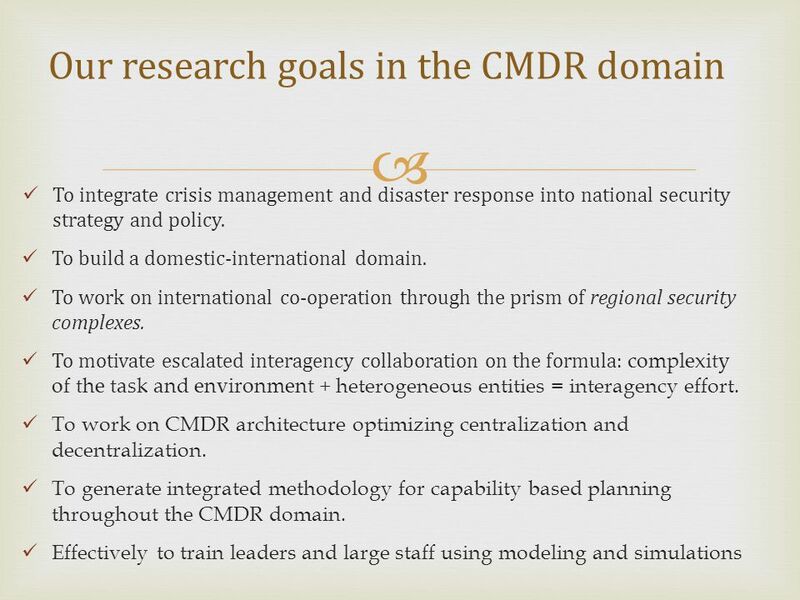  - What current challenges and emerging questions do crisis organizations face in case of strategic crisis where national inter-agency crisis management is needed? 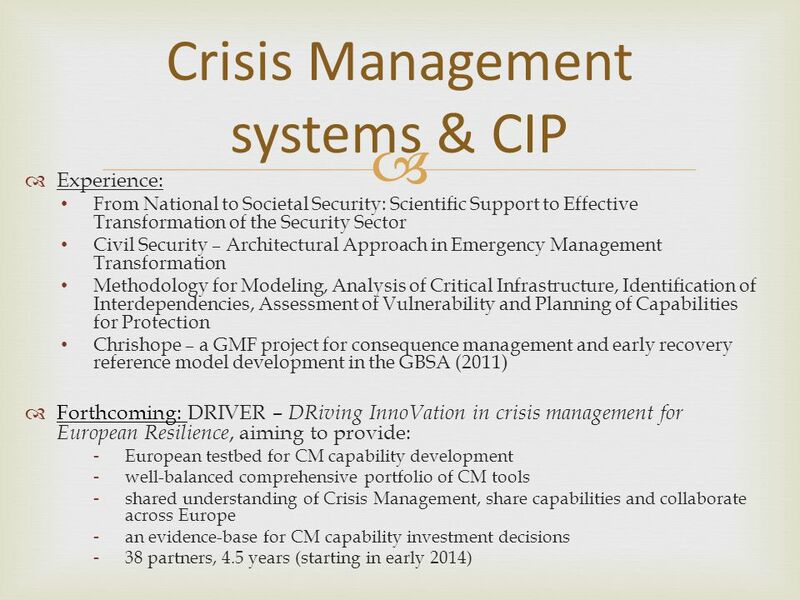  - What are the new approaches to crisis preparation and crisis responses regarding inter-agency crisis management concepts? 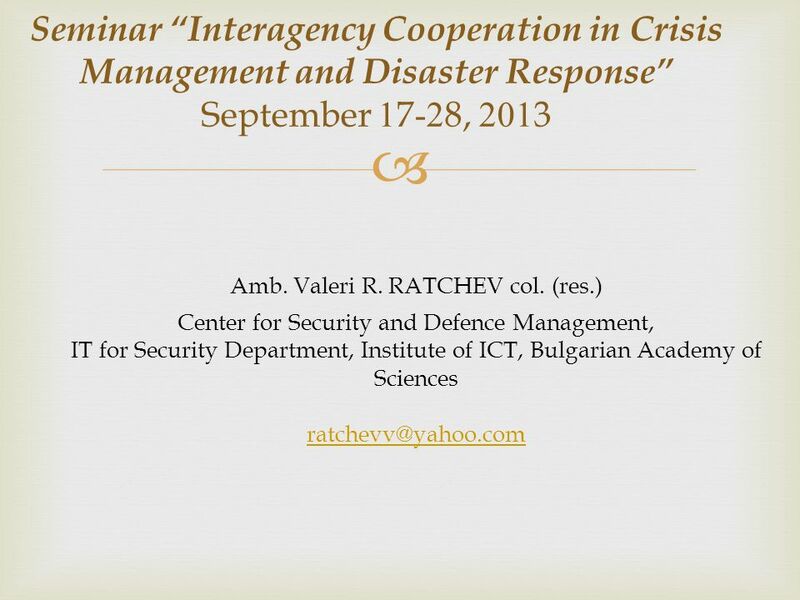  - Is there a need to establish international principles for country crisis management? 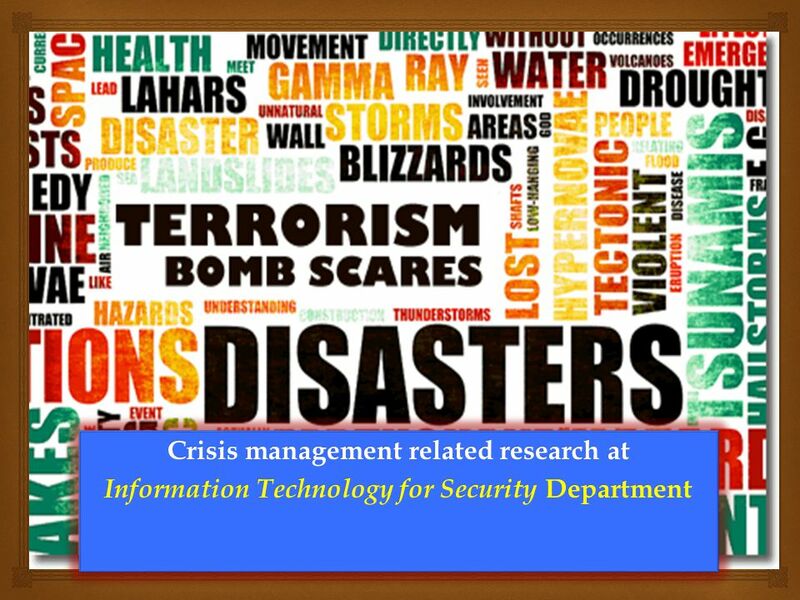 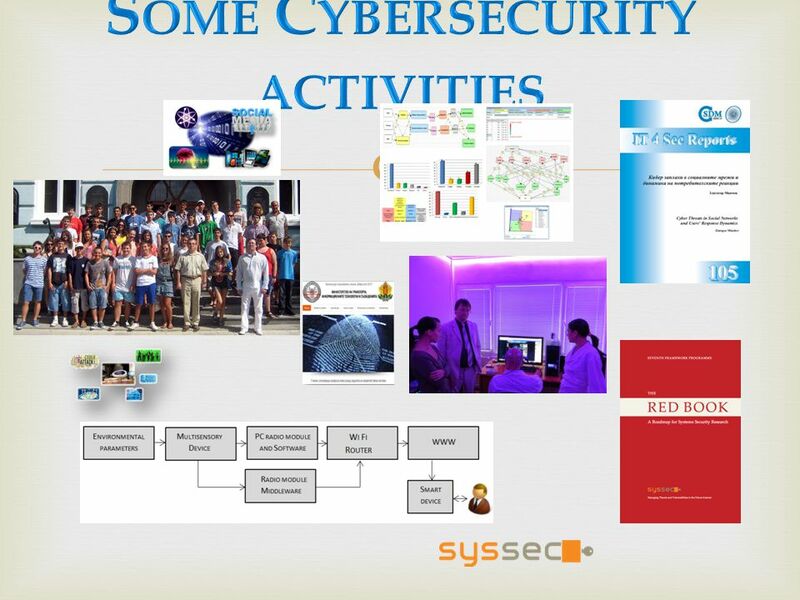 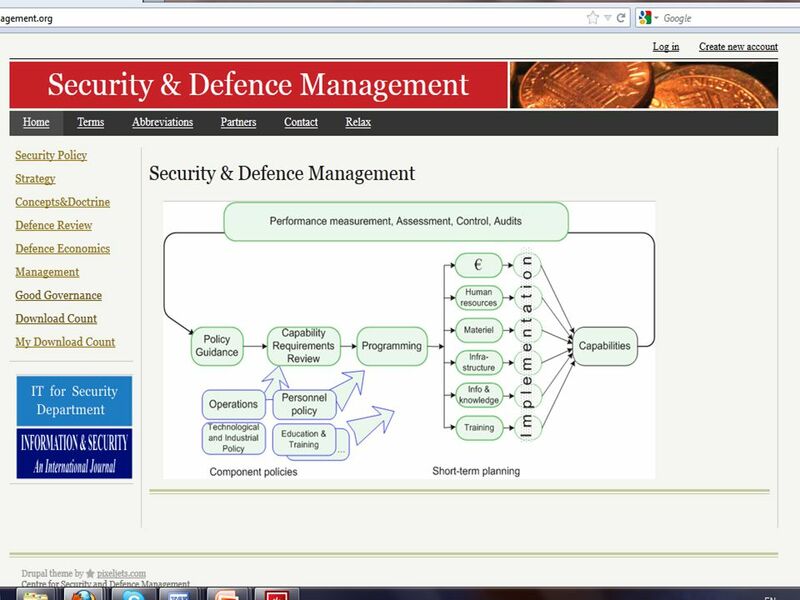 Download ppt "Crisis management related research at Information Technology for Security Department Crisis management related research at Information Technology for Security." 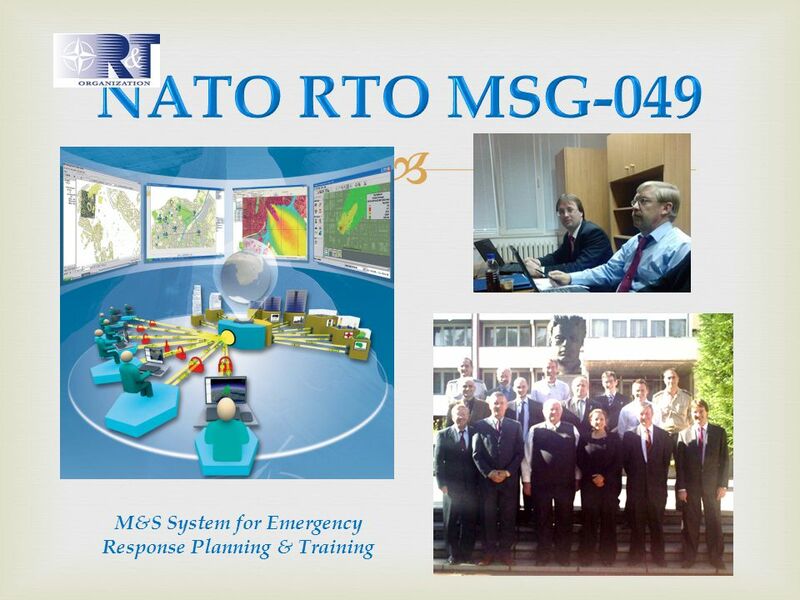 Update on Commission disaster management initiatives - Community approach to disaster prevention Thomas de Lannoy – DG ENV A4 DG ENVIRONMENT Civil Protection. 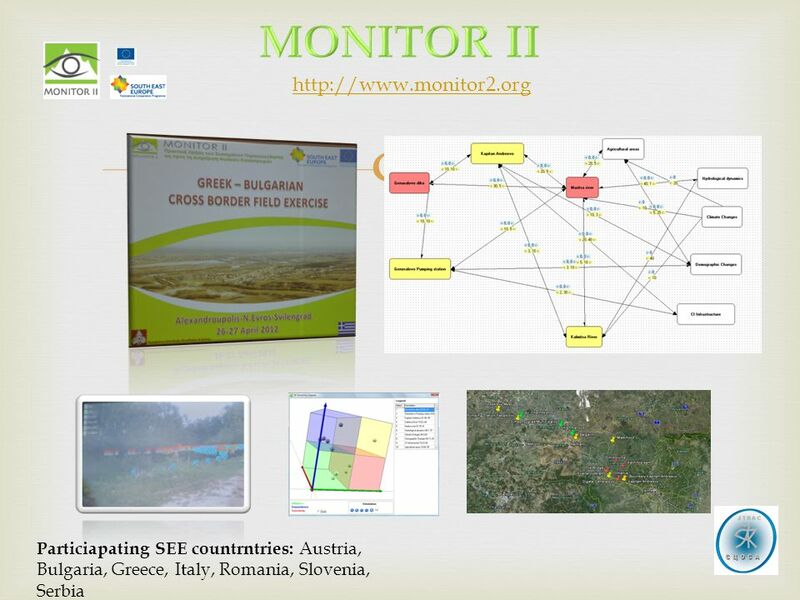 Advanced Monitoring and Coordination of EU R&D Policies at Regional Level (AMCER) INNOVA Europe ESPON Seminar 2013 Krakow, Poland. 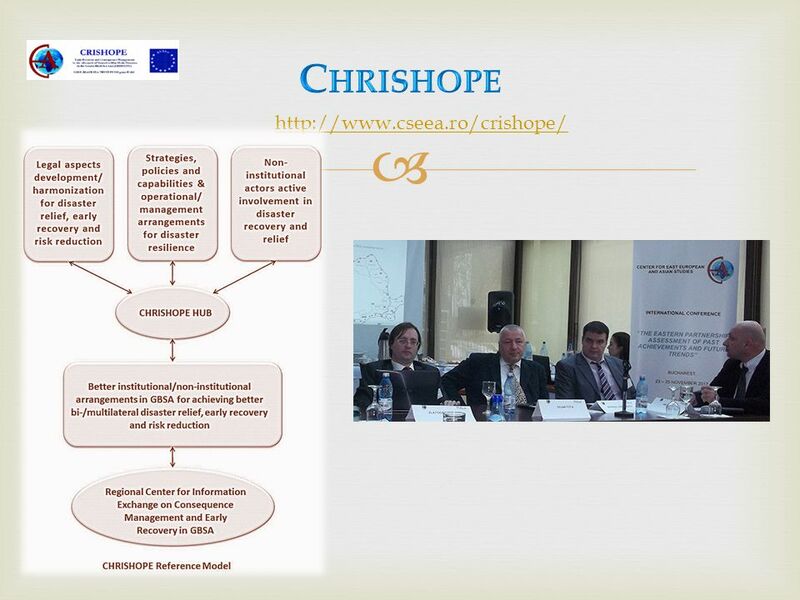 Parallel Workshop Session 2: Workshop 5 Research, Innovation and Competitiveness Advanced Monitoring and Coordination of EU R&D Policies at Regional Level. 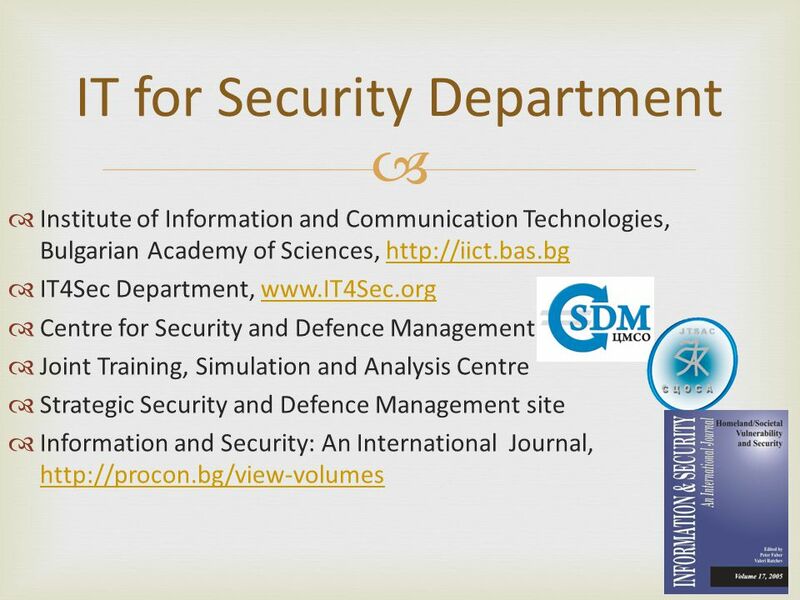 Sustainability and strategic partnerships in ICT4E TIM UNWIN 7 September 2006. 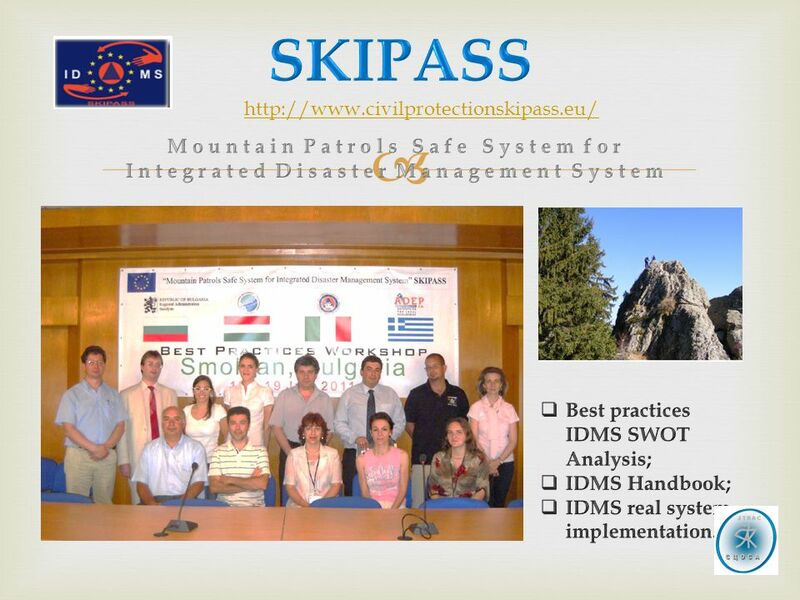 This project has been funded with support from the European Commission, the Civil Protection Financial Instrument, – Directorate General for Humanitarian. 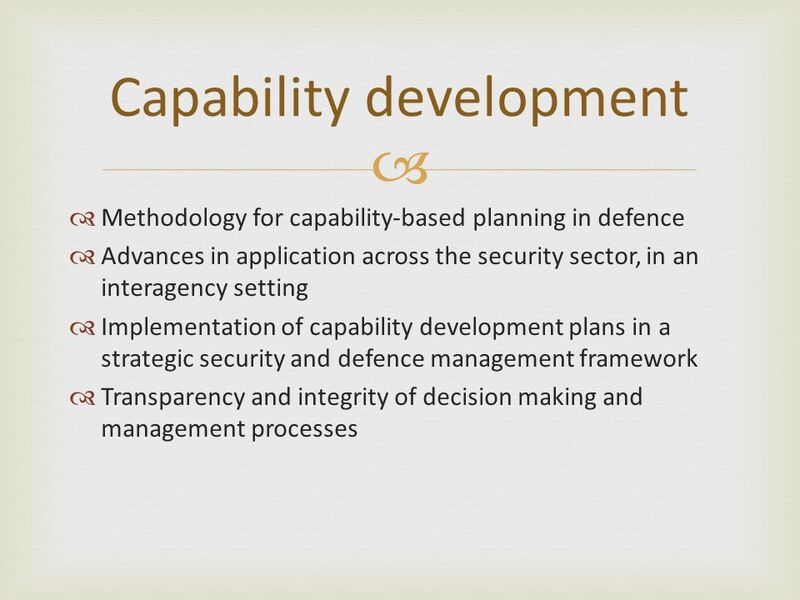 Evidence based policy making Seminar FP7 Work Programme December 2010, Paris, Université Paris Dauphine Maria Geronymaki DG INFSO.H.2 ICT for. 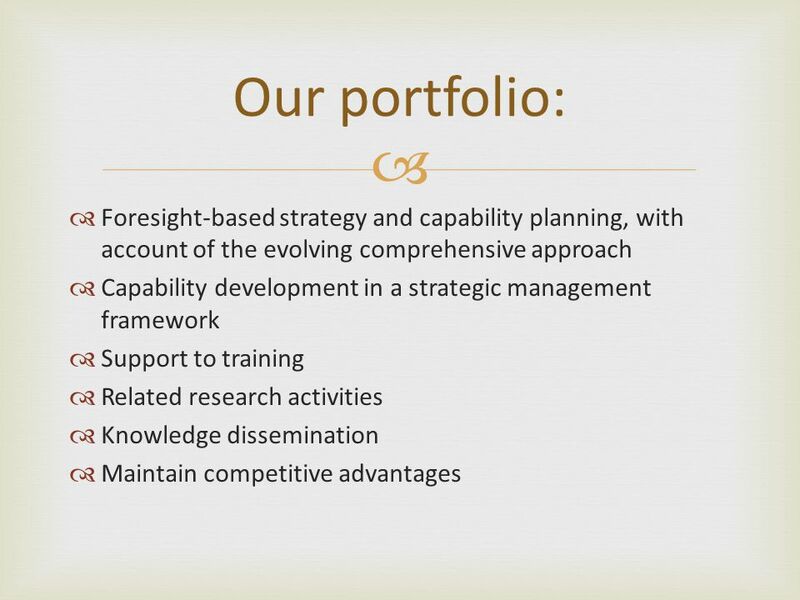 Co-creating Living Labs Slide 1 An Introduction to the Living Labs Initiative and European Network of Living Labs Bring Science and Innovation.